The Boro football coaching staff has seen a decent amount of turnover in recent history, especially at the offensive coordinator spot. 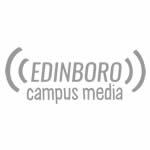 Edinboro Fighting Scots soccer ranked 7th in preseason poll despite losing 6 starters. Coach Gary Kagiavas believes in the new group of leaders.